I typically don't mention cinema here. But I love movies. And Ingmar Bergman created some of the best. I believe Cannes Film Festival director Gilles Jacob says it best when he called Bergman the "last of the greats, because he proved that cinema can be as profound as literature." Okay, I'm posting a bit more meme's than I usually do, so this will probably be the last one for awhile. But I really like this one. The original came from The Freelance Cynic. Complain about the problems in our society but do nothing to try to change them. Say things like "I'm not prejudiced but..." and then go on to say a very prejudiced or racist statement. Sometimes I can be too political for my own good. I managed to just join in on BookeyWookey's Summer Poetry Challenge just before the August 1st start date. This is a great excuse to spend some time with some wonderful poets, in a genre I neglect far too much. For the challenge, you need to select four new-to-you poems, three from different time periods, and one poem from any time period that you find mysterious, intimidating, or just don't understand. Before 1900: 'The Mouse and the Camel' by Rumi (13th century). It is originally from the Masnavi-I Ma'navi, but the translation I am using is from Rumi: Selected Poems, published by Penguin Classics. Between 1900-2000: 'Her Kind' by Anne Sexton, from To Bedlam and Part Way Back (1960). 2000-2007: 'Pilgrimage' by Natasha Trethewey, from Native Guard: Poems (2006). An intimidating poem: The 'Rubaiyat' of Omar Khayyam (12th century). 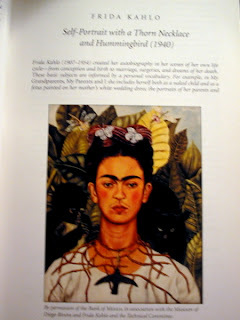 The version I am reading is in the book A Treasury of Asian Literature; the poem is translated by Edward Fitzgerald. And to start off the poetry fun, I would like to post my runner-up choice for the 2000-20007 category. This poem, Fishing on the Susquehanna in July by Billy Collins, caught my eye right away. Unlike the poet, I did grow up fishing on the Susquehanna River, which is 20 minutes from my home. I also camped by it, skipped rocks on it, and went water tubing and swimming in it. And, one of my fellow classmates was lost to this world when climbing a small span of cliffs bordering the river. Out of all the rivers in the world, it is probably the one that holds the most memories to me. First sentence: It was my good fortune to be deported to Auschwitz only in 1944, that is, after the German Government had decided, owing to the growing scarcity of labour, to lengthen the average life-span of the prisoners destined for elimination; it conceded noticeable improvements in the camp routine and temporarily suspended killings at the whim of individuals. Almost everyone has read a story about the Holocaust. It is a historical event that should never be forgotten. While genocide continues to exist, the Holocaust should be recalled and mistakes remembered, to help save those mired in present conflicts, such as the Emergency crisis in Darfur, and warnings in Zimbabwe, Burma, and Uzbekistan. Reading memoirs by Holocaust survivors can be a horrifying, emotive experience. In some ways Survival in Auschwitz fits that description, as the sheer improbability of a person's survival in Auschwitz, where Primo Levi was in residence for ten months prior to liberation, is a horror in and of itself. Yet, Levi takes a different approach. His story is clearly told through the eyes of someone rooted firmly in the sciences: it is clear, analytical, and precise. He writes almost in the way of an outside observer, rather than someone who has lived in those heart-wrenching conditions. He describes daily life from an anthropological viewpoint: the layout of Buna's camp, the division of living quarters, rules and schedule of the camp, the detailed process of gaining admission to Ka-Be, the infirmary. You learn that the numbers tattooed on those interred at Auschwitz tell much about the science of the camp and reveal who did and did not survive. For example, those who were tattooed with numbers 30,000-80,000 were transferred from the Polish ghettoes; only a few hundred survived. Yet, scattered seamlessly throughout, are the snippets of personal passages that can not be ignored. On returning to work after the lunch break on a blustery day he recalls 'Oh, if only one could cry! Oh, if one could only affront the wind as we once used to, on equal terms, and not as we do here, like cringing dogs.' (p. 70) In the hours preceeding his relocation to Auschwitz, Levi recalls, 'many things were then said and done among us; but of these it is better that there retain no memory.' (p. 15) Levi's approach is one not taken by many. Because of this, it is definitely a story that needs to be read. I was tagged by Wendy at Caribousmom and Chris at Book-A-Rama for this unique meme. And, since I'm a little behind on posts right now, I'm going to be lazy and say...if you're reading this, then TAG! You're It! Well...looking at my blog recently, you could probably surmise that my answer is...yes. No midnight parties here, although I will be surprising my husband with some HP-themed treats Saturday. We ordered our copy on Amazon via Free Super Saving Shipping, so I don't expect it to arrive for about a week. But as soon as it crosses our doorstep, I'm diving in! We both think Harry will survive. Although, he could end up looking like Mad-Eye Moody. As to who will die, my thoughts change on a pretty daily basis. But no matter what, it will be a bittersweet ending. I have come to love HP, his friends and adventures, and I think it is one of the best children's series I have ever read. * And that's saying a lot, because I usually don't go for the crazy media hyped books. Take Lemony Snicket for example. I read the first three, discovered I was not a fan, and dropped the series. * Update: This columnist seems to disagree with the opinion I hold. Thank you Danielle for the heads up in your recent post. While never claiming HP as a literary masterpiece, I don't think I will budge from my opinion that it is a wonderful series. 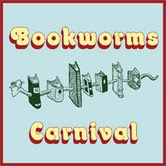 If you are here reading my blog, and others like it, I guarantee you will LOVE the Bookworms Carnival. The first edition is hosted by Dewey at the hidden side of a leaf. Filled with lots of wonderful reviews and book talk, it is not to be missed. With the opportunity to contribute to upcoming editions, what are you waiting for? If you haven't read it, be sure to keep an eye out for my entry, a review of Purple Hibiscus by Chimamanda Ngozi Adichie. First sentence (and second sentence, because I really like it): A nurse held the door open for them. Judge McKelva going first, then his daughter Laurel, then his wife Fay, they walked into the windowless room where the doctor would make his examination. The Optimist's Daughter is a character-driven rather than a plot-driven story. Therefore, a quick summary of the plot does not do it justice. The majority of what makes the novella a good read is hidden below the surface, as Welty explores issues including love, loss, memory and the passage of time. Although short, it is not an easy read, and is best read at leisure, absorbing the words rather than scanning them. My only complaint with the novella was that I could never get a full sense of the characters. When I reached the last page, I wished that I knew and understood them better, particularly Laurel. The end was unsatisfying, and I longed to know more. Of course, this could have been Eudora Welty's intent. 2. Wand Order Problem: When Harry confronts Voldemort in the graveyard, and the Reverse Spell goes into effect, James Potter's image comes out before that of Harry's mother, Lily. This would mean that James died after Lily, even though previous books had James dying first. This passage was later changed in later editions to the correct order. - Where did Snape go at the end of the novel? - Why did Dumbledore have a "gleam of triumph" in his eyes when he found out that Voldemort had used Harry's blood to recreate himself? Up next is a break from the Harry Potter series, as I've delved into Eudora Welty's Pulitzer Prize winning novel, The Optimist's Daughter. 2. Mythology (**Possible Spoiler***): Both Sirius Black and Remus Lupin's names are rooted in mythology. Sirius is a bright star situated in the constellation Canis Major, also known as the Big Dog. The Sirius Star is frequently referred to as the Dog Star. In Latin, 'Lupo' means wolf, and Remus is one of the twin brothers raised by a female wolf (lupa) in Roman mythology. It was difficult to find very much trivia about this book in the series, so that's all I have come up with for now. But enjoy the cover art! After a random drawing, a winner has been chosen to receive Circle of Friends, the book that I am giving away for Give a Friend A Book Week! 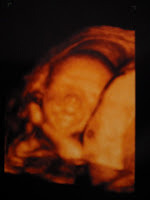 And, on a fun note, I was also the recipient of a drawing this week, winning two bookmarks for the Chunkster Challenge. Thank you, Bookfool!! Tanabata over at In Spring It Is the Dawn clued me in to Buy A Friend A Book Week. I now have quite a few book duplicates floating around my house, some of which have already been claimed by friends (see my previous post for why I have duplicates lying around my house). 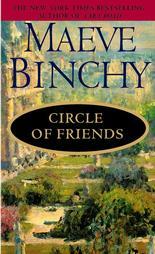 But I wanted to offer up a book for my blogging buddies, so I will be giving (sorry, it's not a new copy) away Circle of Friends by Maeve Binchy. If you would like to give this book a new home, a book that happens to be one of my favorites, just leave a message. 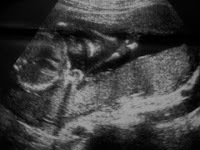 I will be drawing a name this coming Sunday, June 8th. One of my fondest memories as a child is going to the Martin Memorial Library each week in the summer, to browse through the vast collection of books, finding new treasures all the time. It wasn't until high school that I began to accumulate a library of my own. 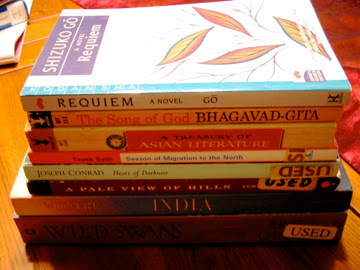 For the past few years, I thought that many of my books from my young adulthood had been lost on one of my many migrations north, south, east, and west (yes, I have traveled in all directions, and have yet to put down roots!). I had searched my parents home high and low trying to find all of them, to no avail. And then, a few weeks ago I received a phone call. While cleaning out their garage--which happened to be filled to the brim with furniture from my grandfather's home--they discovered my boxes of missing books! It was with much delight that we picked up these little treasures yesterday. Ever since, I have been in book heaven. I had replaced some of my favorites, but there is nothing like reclaiming your original copy. Like pictures, so many books hold precious memories to me. They like to remind me how they have shaped my life, and helped make me who I am. There are the books I discovered in high school, when I was just starting to create my own uniqueness, figuring out my personality as separate from my friends. In choosing two selections I would memorize and recite in 10th grade Honor's English, (the only time in my life I ever had to memorize a part of a book) why did I choose the first paragraph of A Tale of Two Cities, and the following selection from Shakespeare's Merchant of Venice? At 16, I was already exploring the depth of the human condition and religious tolerance (even if I may not have realized it). Like the prodigal son, I welcome with opens arms the return of my collection of Shakespeare plays I purchased over the years from the Folger Shakespeare Library. I delight in finding my beloved copy of Uncle Tom's Cabin, a book that helped me learn about slavery, more so than the lessons from my history teachers! College introduced a whole other realm of exploration. I delighted in the dystopian and utopian literature we read in my Women's Lit class. 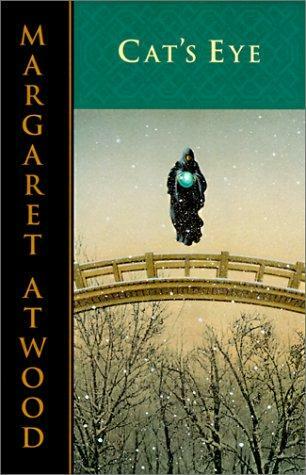 The Handmaid's Tale was my introduction to Margaret Atwood, an acquaintance who is now firmly entrenched amongst my favorite authors. You can not imagine how happy I am to have my original copy back in my possession. 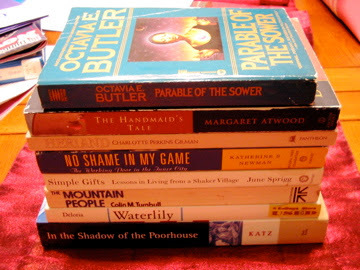 I may have never discovered Octavia Butler's Parable of the Sower or Charlotte Perkins Gilman's Herland (isn't that book cover beautiful??) if it wasn't for that class. A few anthropology classes, which eventually turned into my second major, sparked my curiosity of other cultures, and a desire for a world that accepts and embraces diversity, with books such as Waterlily by Ella Cara Deloria and The Mountain People by Colin Turnbull standing out. No Shame in My Game by Harvard anthropologist Katherine Newman does a much better job of giving a voice to low-income workers than Barbara Ehrenreich has, as she interviewed and followed almost 300 low-income workers and job seekers in Harlem. Finally, there are all of the books that I purchased to prepare myself for an adventure abroad on Semester at Sea, and the required reading for my onboard class, Post-Colonial Literature. If only Professor what's-his-face would have started with Chinua Achebe's Things Fall Apart instead of Conrad's Heart of Darkness, I might have enjoyed that class. We never got around to reading Tayeb Salih's Season of Migration to the North, and alas, seven years later it is still unread. However, the readings of Wild Swans by Jung Chang, A Pale View of Hills by Kazuo Ishiguro, and the Bhagavad Gita all remain vividly imprinted in my mind.